Are roadside trees a safety concern? 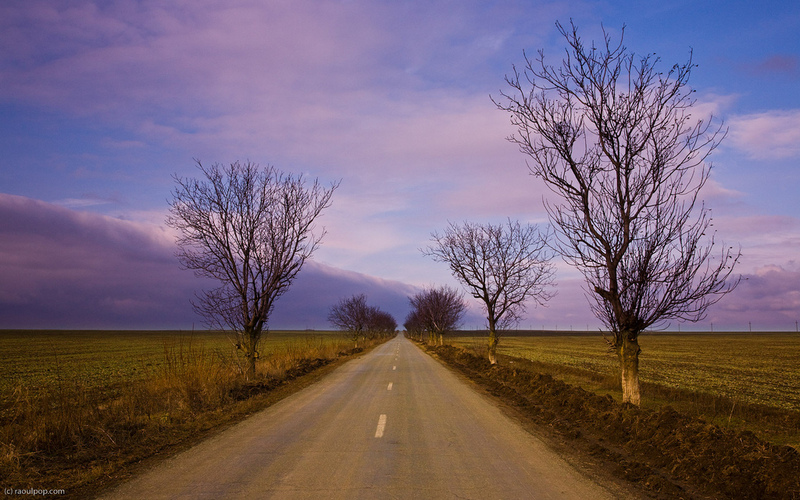 In Romania, many roadways are lined with trees. It could be walnut trees, or poplar trees, or fruit trees of some sort — the point is, they decorate each side of the road, standing guard, so to speak. I happen to think they enhance the beauty of the road, but I’ve heard talk of people who want to do away with them. They say they’re dangerous since drivers might run into them, as it happens every once in a while. I recorded my own thoughts on the matter one day, while driving on a road in the province of Dobrogea. You can watch the video clip, or you can read on. My words and my voice both carry the same message. I disagree. I don’t think the trees are dangerous. It’s the drivers who are dangerous. In the overwhelming majority of the cases where cars meet with trees, the drivers engaged in reckless maneuvers and were the very cause for the accident. Any trees that happened to be there simply drove that point home much more poignantly than some shrubs or an empty field ever could. 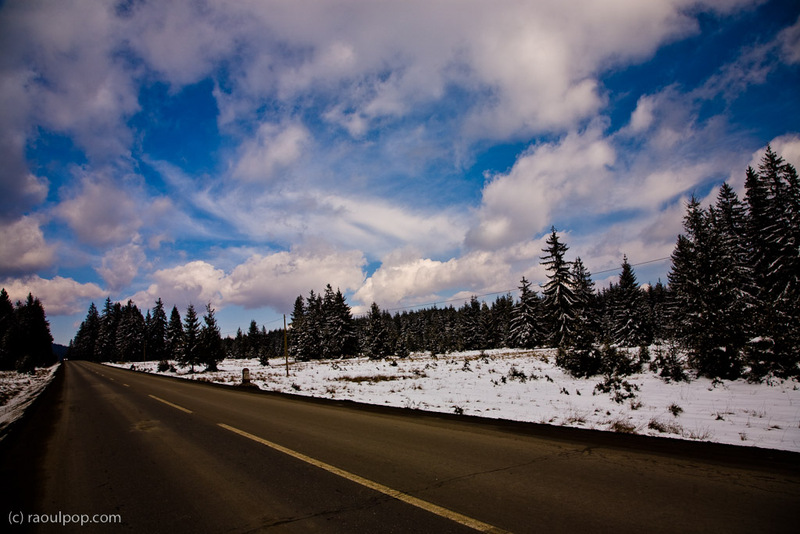 Thing is, Romanian roads, with very few exceptions, were built for low speeds. They were laid down during Communist times, when the car of choice (the only car, actually) was a Dacia — a relic of early 60s pseudo-design. It was underpowered, creaky — even when new — handled like a tractor hooked up to a blender engine, and stalled frequently in cold weather. If you managed to hit 100 km/h in those cars, it was definitely something. My grandparents had a Dacia 1310 model, and when that thing would get close to 100 km/h, it shook so badly I thought it’d fall apart. Those were the cars that the road builders had in mind when they laid the roads and highways of Romania. The speed limit in the cities was and still is 40-50 km/h, and the speed limit outside the cities was 80-90 km/h. The latter has now been increased to 100 km/h. Problem is, people drive on these roads at 130-160 km/h or more. They just weren’t built for these speeds. The turns are steep, ungraded, sometimes unmarked, there are potholes most everywhere, and one often finds pebbles and mud on the roads from tractors that cross them to get to the fields, which makes braking on certain portions of the roads hazardous at best. And yet, people just don’t get it. They think they’re somehow immune to accidents, until they lose control and run into a tree, often with disastrous consequences. Are the trees guilty? No. They simply point out the obvious — that the drivers themselves are to blame. If the trees weren’t there, I bet those same drivers would go even faster, knowing that if they ran off the road, they’d stop in some bales of hay or a wheat field. It would encourage even more irresponsible behavior. I like the trees. Let them stay where they are. Next Post Google Reader translates posts?